On April 11, pro-Kremlin armed gangs opened fire 20 times. 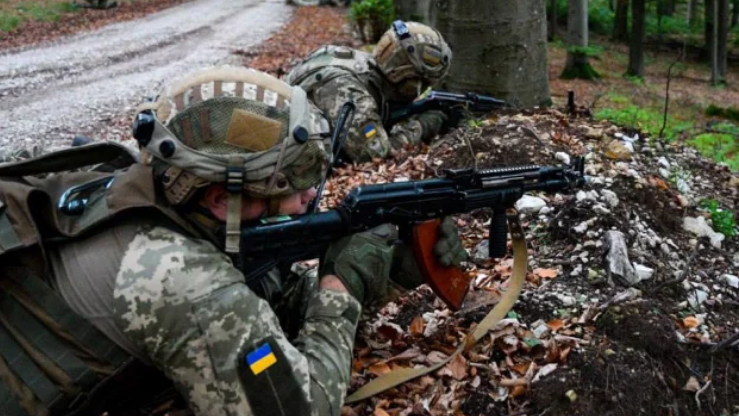 One Ukrainian defender lost his life in combat; another eight were wounded. The Joint Forces Operation HQ reported that on Facebook. All attacks except one occurred in Donetsk region; the enemy opened fire in Lebedynske, Pavlopol, Novotroitske, Hnutove, Vodyane and Avdiivka. A wide range of weaponry was used, including anti-tank missile launchers, mortars, IFVs, grenade launchers, heavy machine guns and small arms. In Luhansk region, the enemy used 82 mm mortars to shell Katerynivka. On April 11, nine militants were killed, another eight wounded. Since the beginning of the day, Russian mercenaries opened fire in Pyshchevyk and Chermalyk, Donetsk region. The enemy lost nine fighters; another eight were wounded in action. On April 9, an officer of Ukraine's State Emergency Serice deceased during the mine clearance works. Besides, Russian forces used brand new guided artillery shells to attack positions of Ukrainian warriors.